In this study, the researchers evaluated the potential of depression to mediate the association between PTSD and opioid misuse. 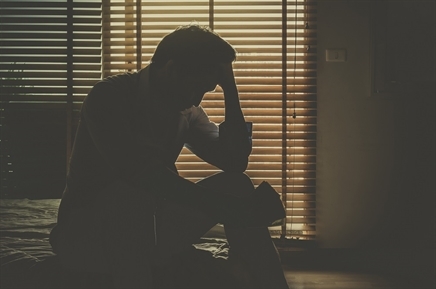 Depression may partially mediate the association between post-traumatic stress disorder (PTSD) and opioid misuse, according to a study to be presented at the World Congress on Pain 2018, held September 12-16, in Boston, Massachusetts. A health survey was administered to patients filling opioid prescriptions at 4 community pharmacies (n=333). The Patient Health Questionnaire-2 (PHQ-2), the Primary Care-Post Traumatic Stress Disorder assessment (PC-PTSD), and the Prescription Opioid Misuse Index (POMI) were used to assess depressive symptoms, PTSD, and opioid misuse, respectively. In addition to investigating the associations between patient characteristics (demographic and clinical) and PTSD, depression, and opioid misuse, the researchers evaluated the potential of depression to mediate the association between PTSD and opioid misuse. Of the survey respondents, 16% reported misusing opioid medications, of whom 33% and 29% were diagnosed with PTSD and depression, respectively. PTSD was found to be a significant predictor of depression (a=0.43; 95% CI, 0.31-0.54; P <.001), and depression was found to be predictive of opioid misuse when controlling for PTSD (b=0.13; 95% CI, 0.05-0.22; P =.002). An indirect effect of PTSD on opioid misuse — mediated by depression — as well as a direct effect of PTSD on opioid misuse was established (indirect effect: ab=0.06; 95% CI, 0.02-0.10; direct effect: c=0.012; 95% CI, 0.03 -0.22; P =.01). “[Study results suggest…] the pressing need for screening, assessment, and intervention protocols for individuals with psychiatric comorbidities who are being prescribed opioids for pain management,” noted the study authors. “In building on this foundation, the next steps for future research should employ longitudinal designs and examine these relationships in national samples,” added Ms Hruschak. Hruschak V, Hildenbrand A, Cochran G. Opioid misuse and psychiatric comorbidities: Implications for pain care. Presented at the World Congress on Pain 2018; September 12-16, 2018; Boston, MA. Poster 64383.